Stay in front of clients all year long with a branded, custom-printed calendar. From beautiful imagery to pre-printed events and date reminders, calendars are a marketing investment that doubles as a gift. You tell us what you envision, and we’ll do the rest. The arts and theatre industry reflect of the best of our culture. 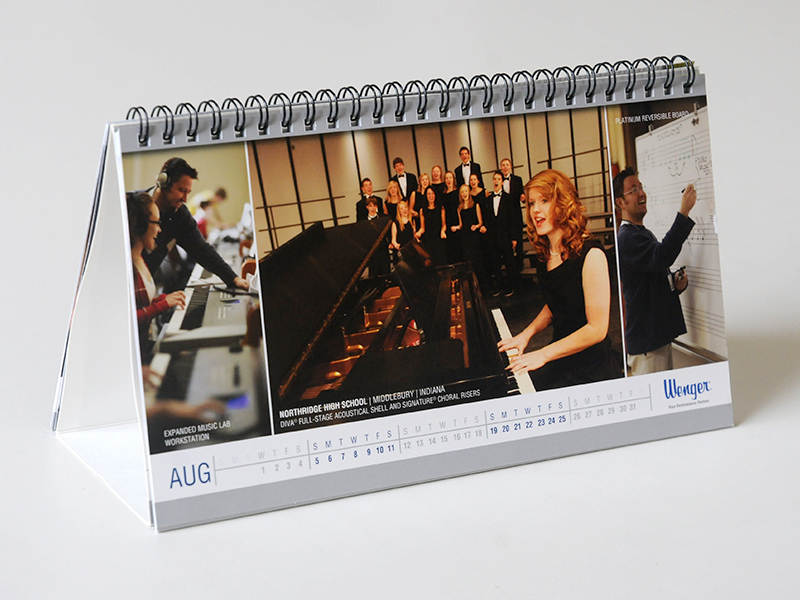 A branded calendar is one of the most practical and visually stunning opportunities for printed promotional products. The ability to print “save-the-date” fields into a yearly calendar, calls attention to upcoming performances and events. Fill performance venues with eager guests when they know well in advance the dates. Ready to get started with your calendar printing project? Contact us today.